"I'm Mad. You're Mad. We're all Mad here." 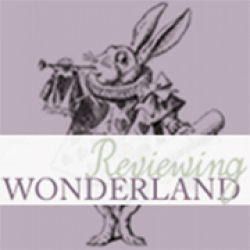 ~ Lewis Carroll, Alice in Wonderland We love to share our love of Young Adult and New Adult books with the world. I’ve always been a big fan of paranormal books. I crave the escape of reality into a better world with beautiful creatures and a lush environment. 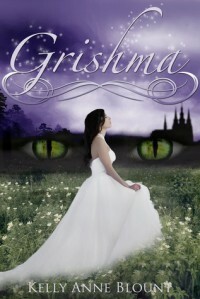 When I read the synopsis of Kelly’s book, Grishma, I was intrigued. It seemed to have all the right ingredients: the world of Necoh, a hideous murderous beast, and a girl who is accidentally thrust into the middle of a battle that opens her eyes to a whole new world. This book had everything I wanted in a paranormal book and included romance, mystery, and its fair share of epic adventures.The book begins with the story of Ryder, a boy who is forced into manhood upon witnessing his father’s death at the hands of a hideous beast that has plagued his homeland of Necoh. I love Ryder! He is the epitomy of a young adult hero. Struggling to become a leader, he battles his own internal doubts while trying to show confidence in his decisions. Yet, in light of trying to appear confident, he is always willing to take the advice of others.Enter Brooklyn: a normal teenager whose biggest worry in life is her annoying, yet loveable, older brother Jax and what he will do next to embarrass her in front of her high school crush. Brooklyn first lays eyes on Ryder at a party where he is trying to blend in. The chemistry between them is strong and immediate; a true love at first sight interaction, but Brooklyn shies away from the encounter at first. I struggled to relate to Brooklyn at first, she seemed just a little too contrived for me. But she was not left this way. She grows and changes with the story into a person that I was very invested in. After she is drugged by Grishma, making her think she is the lost Princess Sophie, the author cleverly changed her third-person references to that of Sophie. A very nice way to cement that fact that she really believed she was the Princess.One thing I hate in a book is when the main characters go from meeting/hating each other to suddenly being deeply in love with no back story on how the relationship developed. This was not an issue in this story. The relationship between Brooklyn and Ryder develops slowly, almost painfully slow, but the reader has time to digest and grow with the characters.Ryder's journey to find Brooklyn is joined along the way by several Necohian creatures willing to help. They form a band of unlikely heros who each have something to prove and something to gain. Each of these creatures is a loveable character in their own right. Who are my favorite characters? - Pidifer and Cridifer! They are orvbas, small stumpy creatures, and brothers. The epitomise the meaning of brotherly love and sacrifice. Plus I just picture them as being so darn cute (like little teddy bears, or something)!Every time I thought I had this book figured out I was thrown a curveball! The rise and fall of action is so well placed it maintained my interest throughout the entire story. Ryder and Brooklyn cross paths so many times only to be pulled apart again!This story is reminiscent of The Chronicles of Narnia, written with a modern young adult theme. I even picture Grishma as a cross between Aslan and Buckbeak (the hippogriff from Harry Potter) with a serious mean streak and a manipulative personality. With all of the original creatures, this is one of those stories that would make an epic motion picture! (One I would be first in line to see)I highly recommend this book for fans of the Chronicles of Narnia but who are looking for something with a modern romantic twist. There are some adult situations portrayed in the story, but they are subtle. I would recommend this book for ages 15-18 (and for those young at heart). :-)A sequel to this title is already in the works and I cannot wait to get my hands on it!